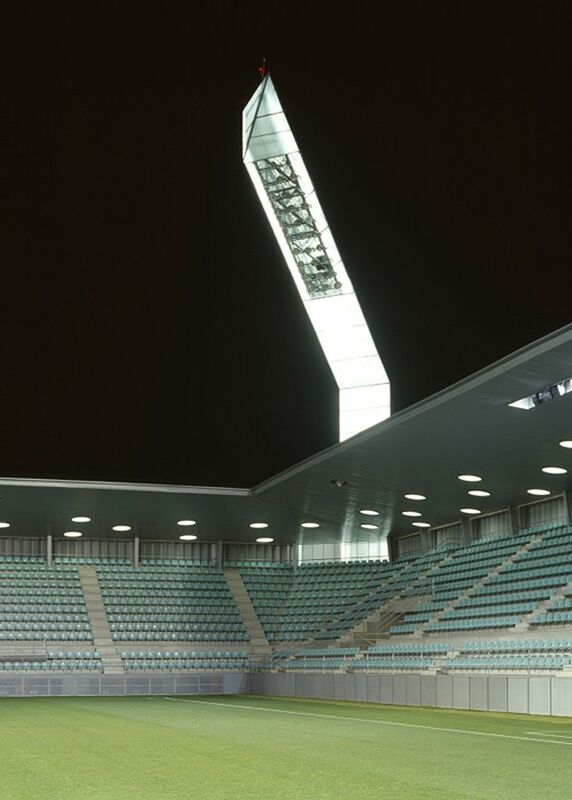 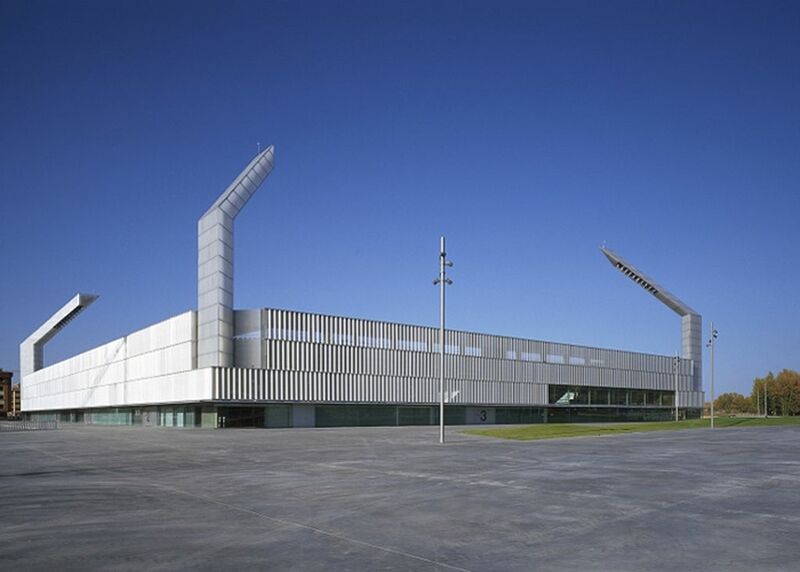 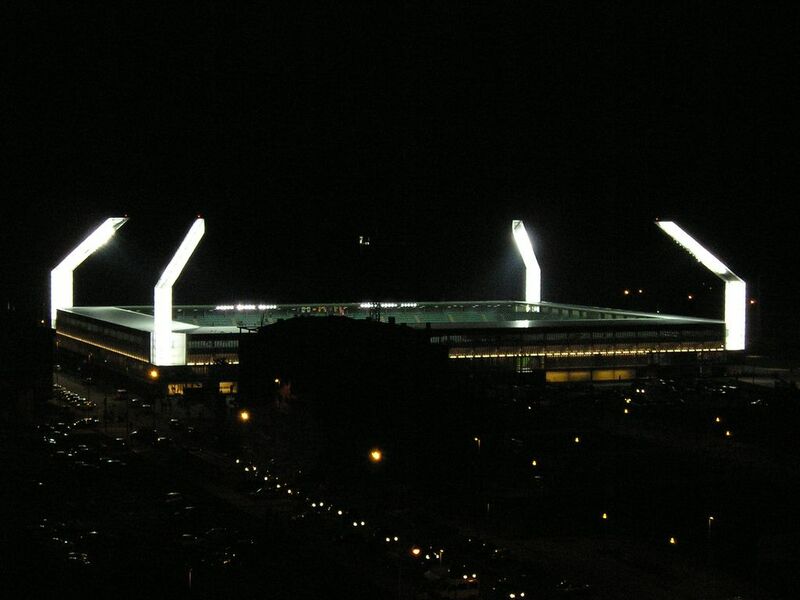 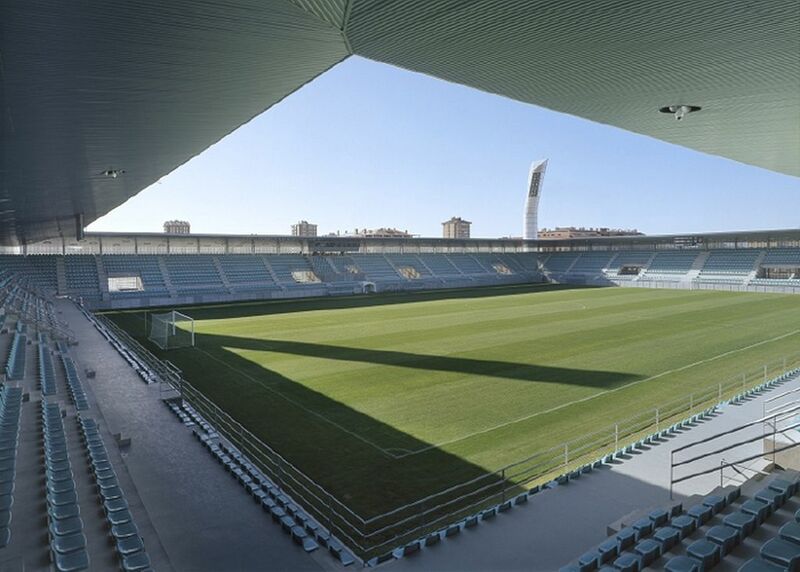 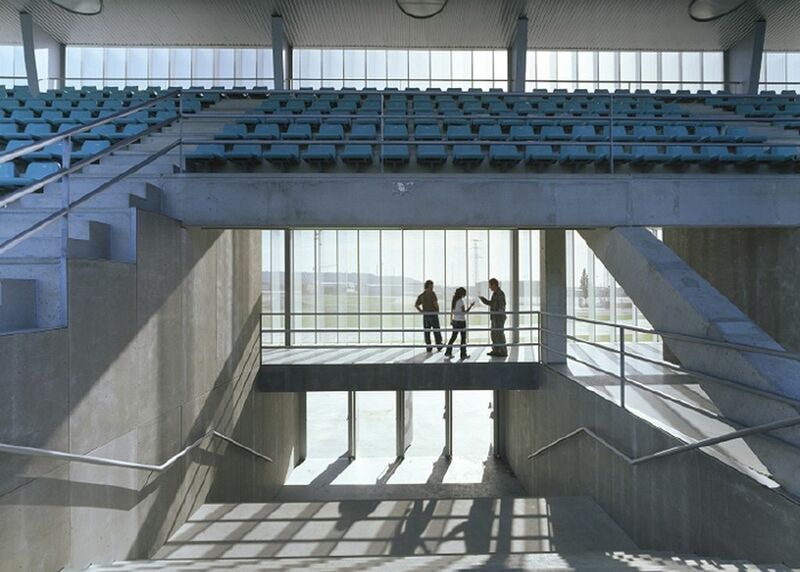 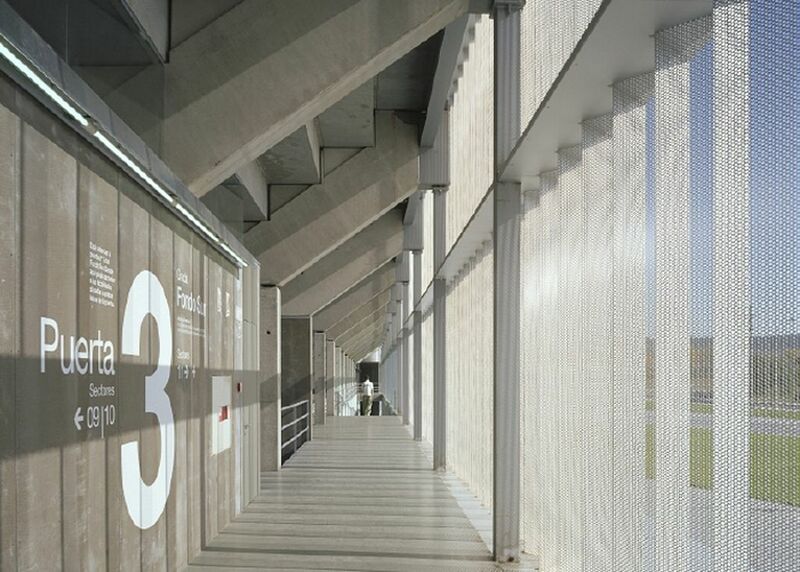 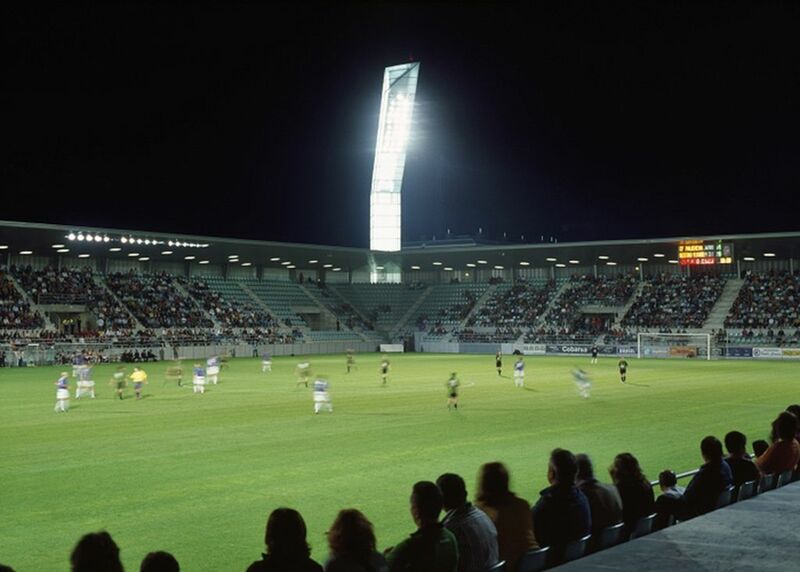 Inaugurated in October 2006 by the mayor of Palencia, this modern stadium cost €18m to erect, all paid by the municipality. 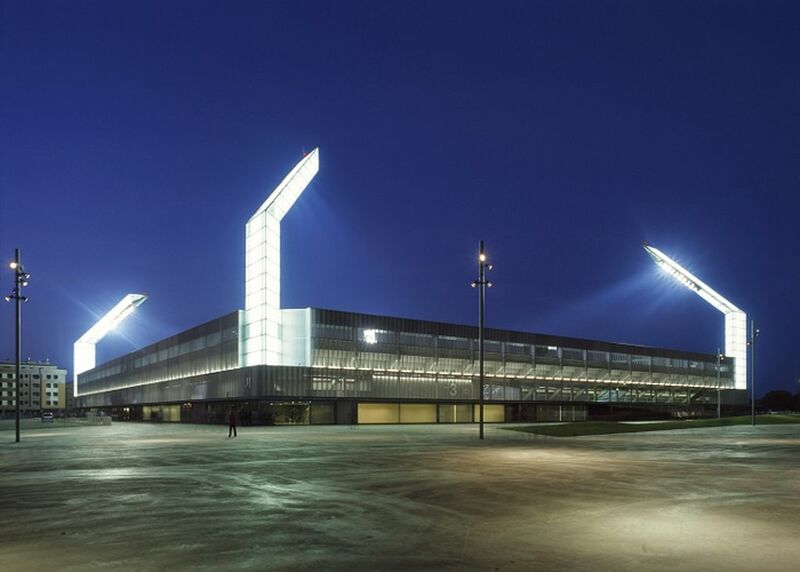 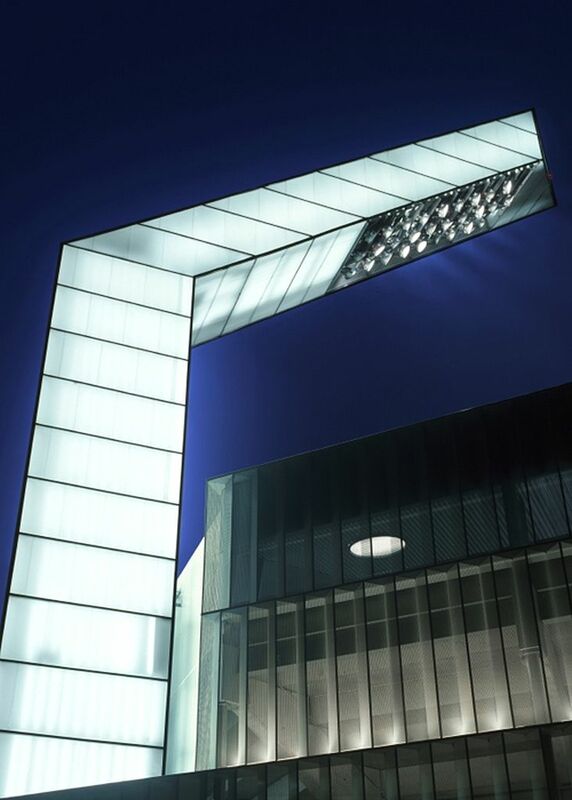 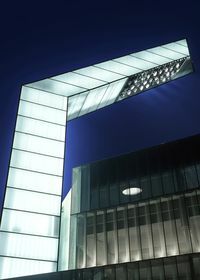 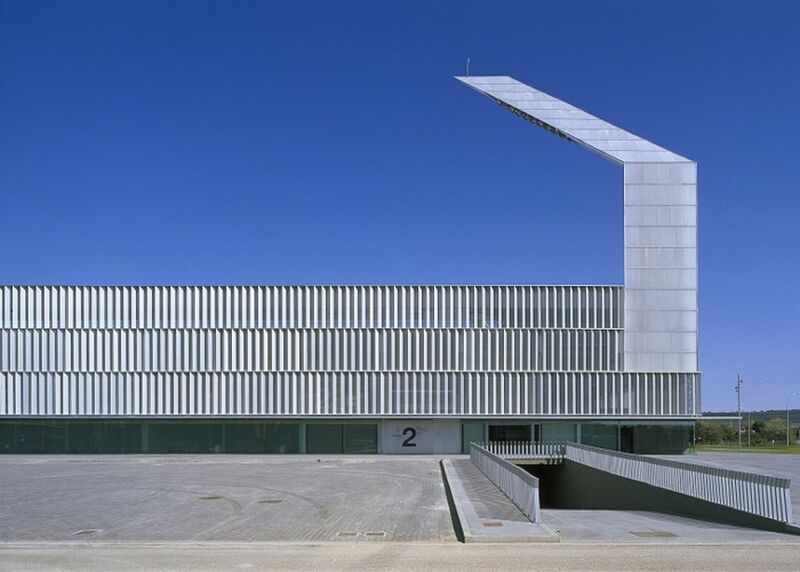 Designed by Patxi Mangado’s office it has a very simple cubic shape with floodlight masts being the most impressive and distinctive feature, both by day and – especially – by night. 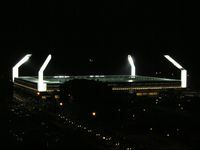 Capacity of just over 8,000 people is similar to that in old Estadio Balastera, but this time all viewers are seated and covered from elements. 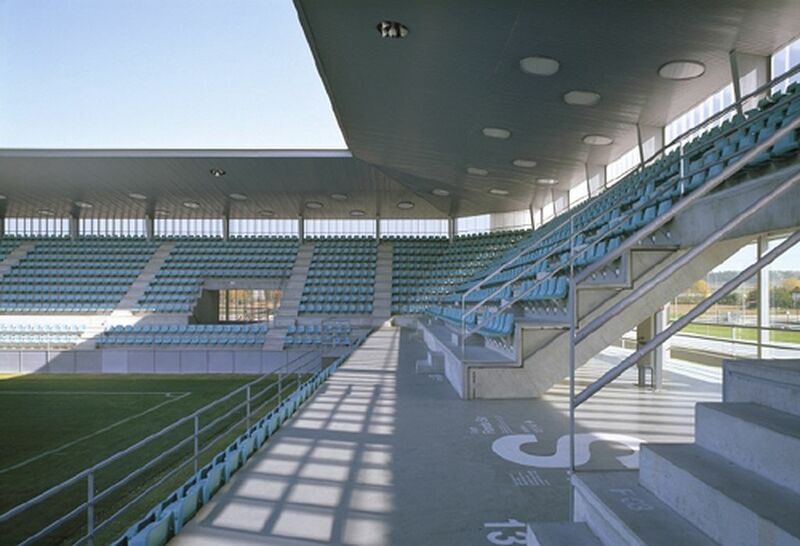 Day-to-day use is provided by two clubs – football side Palencia CF and rugby team Palencia RC. In 2012 the rugby Copa del Rey was held at this stadium.